Islami Bank Bangladesh Ltd. (IBBL) started commercial operation on March 30, 1983 under the ambit of Banking Company’s Ordinance 1962 later on the Banking Companies Act, 1991 as the first interest free Shariah based commercial bank with an objective of catering Islamic Shariah based financial products. At present IBBL is operating with 207 Branch different areas of the country. In conventional bank the investor is assured of a predetermined rate of interest whereas, IBBL promotes risk sharing between provider of capital (investor) and the user of funds (entrepreneur). IBBL, Kawran Bazar Branchmobilizes deposit on Mudaraba (Profit sharing) and Al-Wadiah (current account) basis under the Islamic Shariah. The depositors of Kawran Bazar Branchare business partners of it and they share the profit or loss of the business. For the better use of the depositor’s fund, the IBBL, Kawran Bazar Branchinvests its funds as per different modes of investment or financing by Islamic Shariah. Most of the investment of IBBL, Kawran Bazar Branchare on the by Bai- Mode (buying & selling) and HPSM. In this mode branch sells specified goods to the clients on cost plus agreed upon profit or at a negotiable price payable after a certain fixed period. The other ideal mode of IBBL, Kawran Bazar Branchis Musharaka (partnership). In Musharaka, Kawran Bazar Branchshares profit/loss of the business with the client. In 2009 IBBL, Kawran Bazar Branchinvests under Bai-Murabaha mode 23.57%, Bai-Muajjal mode 6.80%, Bai-Salam 0.58%, Higher Purchase under Shirkatul Melk (HPSM) 54.19%, and Musharaka mode 13.33%, Quard 1.39%, Foreign Bill Purchase (FBP) 0.10%. The percentage of recovery of investment of IBBL, Kawran Bazar Branchis nearly 90 to 95% because bank considers strongly the entrepreneurs efficiency and integrity as well as five C’s such as capacity, character, capital, condition, and collateral. From the last 3 years, IBBL, Kawran Bazar Branchinvestment is progressing in a greater extent. Investment of the bank increased to Tk.1532.341 million as on 31st December 2008, from Tk. 1755.893 million as on 31st December 2008 and showing an increase of Tk. 2186.550 million up to 31/12/2009. This increased investment growth of the bank is due to the thrust given to promote investment for effective utilization of depositors’ fund. So, overall investment performance of IBBL, Kawran Bazar Branchis increasing day by day. Because most of the people in our country are religious minded and they want to invest their money according to Islamic Shariah. Moreover people of all walks of life can easily transact with IBBL comparing to other commercial private banks in the country. This Internship Report has been preparing under the Internship program, an indispensable part of the Bachelor of Business Administration (BBA) program. For the internship purpose, I chose Islami Bank Bangladesh Ltd. (IBBL), Kawran Bazar Branch hand prepare this report on the investment related activities of the organization. Banking business under Islamic guide lines. · To understand the different modes of investment. · To familiarize with the various investment schemes. · To get the practical exposure of the banking activities. · To adapt with the corporate environment. · To understand the investment policy of IBBL with other banks. In this report I have focused on all the qualitative which include profiles of IBBL, investment modes like Bai mode, Profit & loss sharing, bearing mode, Rent sharing mode, different schemes of investment such as household durable schemes, housing investment scheme, transport investment scheme, car investment scheme, investment scheme for doctors small business investment scheme, rural development scheme, etc. and lastly financial performances have been depicted. The data required for this study were collected from both primary and secondary sources; however, majority of the information was collected from secondary sources. Branch Manager & Second Officer. Annual Report of Islami Bank Bangladesh Limited. Various prescribed forms of investment were analyzed. Manuals of Investment of IBBL. Different text books & materials. · Lack of experiences has acted as constraints in the way of meticulous exploration on the topic. · Lack of current information. · Shortage of time for preparing the report in order. · The study was conducted mostly on secondary data. 2.1 History of Islami Bank Bangladesh Ltd. In 1982, IDB visited Bangladesh for study. They found contributions done by Islamic Economics Research Bureau (IERB) and Bangladesh Islamic Bankers Association (BIBA); they mobilized the seminars, public opinion through symposia & workshop. Professional activities reinforced by Muslim Businessman Society (now reorganized as Industrialists and Businessman Association). 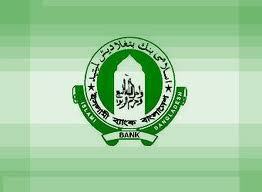 The body mobilized mainly equity capital for emerging Islamic Bank. Finally, in 1983 Islami Bank Bangladesh Limited (IBBL) came out to take the challenge of doing banking business.Islami Bank Bangladesh Limited (IBBL) is considered to be the first interest free bank in Southeast Asia. It was incorporated on 13-03-1983 as a Public Company with limited liability under the companies Act 1913. The bank began operations on March 30, 1983, with major share by the foreign entrepreneurs. IBBL is a joint venture multinational Bank with 63.92% of equity being contributed by the Islamic Development Bank and financial institutions. The total number of branches in 2010 stood at 232. Now the authorized capital of the bank is Tk. 10,000 million and Paid op capital is Tk. 6,177.60 million. It appears from the above definitions that Islamic bank is systems of financial intermediation that avoids receipt and payment of interest in its transactions and conducts its operations in a way that it helps achieve the objectives of an Islamic economy. Alternatively, this is a banking system whose operation is based on Islamic principles of transactions of which profit and loss sharing (PLS) is a major feature, ensuring justice and equity in the economy. That is why Islamic bank is often known as PLS-banks. To establish Islamic banking through the introduction of a welfare oriented banking system and also ensure equity and justice in the field of all economic activities, achieve balanced growth and equitable development through diversified investment operations particularly in the priority sectors and less developed areas of the country. To encourage socio-economic uplift and financial services to the low-income community particularly in the rural areas. · Our goal is to establish and maintain the modern banking techniques, to ensure the soundness and development of the financial system based on Islamic principles and to become the strong and efficient organization with highly motivated professionals, working for the benefit of people, based upon accountability, transparency and integrity in order to ensure stability of financial systems. · We will try to encourage savings in the form of direct investment. · We will also try to encourage investment particularly in projects which are more likely to lead to higher employment. I have done my internship program in Islami Bank Bangladesh Ltd. at Kawran Bazar Branch. It is one of the leading commercial private banks in our country. This bank was established in 1983 based on Islamic sahriah. Their vision is strive to achive superior financial performance and be considered a leading Islamic bank by reputation and performance. Especially I want to say about Kawran Bazar Branch. This branch is one of the busiest Branches. My internship program duration was for total 60 days. It was designed by Islami Bank Training and Research Academy (IBTRA). First 15 days I have done theoretical class in IBTRA. Then I went to the Kawran Bazar Branchfor practical experience with 45 days where I have learned properly Islamic banking and financial system. I got a lot of information and gather experience about IBBL as well as interest free banking system. After completion of theoretical part, I have gone to Kawran Bazar Branch. I worked total 3 days in this section. This section is one of the busiest sections in this branch. Because, a new client can enter the banking system, to opening new account. Lot of customer arrive and try to collect information for account opening. I provided information about the account opening requirements to their clients. Customers need two copies passport size photo, commissioner certificate, introducer sign and nominee photo for their account opening. Lot of customers arrives every day for collecting information about the products, facilities, foreign exchange of this branch. Clients wanted to know the balance of their account by coming to this branch personally or by phone. They come to collect account statement, certificate, 7 days notice, address change, sign change, account transfer in this section. I worked total 4 days in this section. The main responsibilities were to receive several cheques from clients. I also attached seal in the front and the back side of the cheque for clearing. My responsibility was to ensure account number, account holder name, the accuracy of Tk. In figure & in words which are properly stated in Bank’s cheques. After confirming these cheques were sent to my boss. He was responsible for entry to the computer & completing other tasks. When any telegraphic transfer reached to the branch, I enter them in debit voucher, where I ensure that name, account Number, TT number and dates are correctly printed on the TT Voucher. Hence I make sure the signature of two officers and lastly send this voucher to the computer department. In PO & DD leaf, where I ensure name of the organization, drawer branch, date & amount of money and signature of two officers. This mode is binding upon the Client to purchase from the Bank. The Bank sells the goods at a higher price (Cost + Profit) to earn profit. The cost of goods sold and profit mark-up therewith are separately and clearly be mentioned in the Bai-Murabaha agreement. After purchasing of goods the Bank must bear the risk of goods until those are actually sold and delivered to the Client/buyer. This mode is binding upon the Client to purchase from the Bank but bank is not bound to declare the cost of goods and profit mark-up separately to the client. Stock and availability of goods is a pre-condition for Bai-Muajjal agreement. The responsibility of the bank is to purchase the desired goods at the disposal of the client to acquire ownership of the same before signing the Bai-Muajjal agreement with the client. Bank must bear the risk of goods until those are actually sold and delivered to the client/buyer. Bai-Salam is a mode of investment allowed by Islamic Shariah in which commodity(ies)/product(s) can be sold without having commodity (ies) /product(s) either in existence or physical /constructive possession of the seller. If the commodity (ies)/product(s) are ready for sale, Bai-Salam is not allowed by Islamic Shariah Shariah. Then the sale may be done either in Bai-Murabaha or Bai-Muajjall mode of investment. It is a binding contract and no party is allowed to cancel the Istishna’a contract after the price is paid and received in full or in part or the manufacturer starts the work. It facilitates the manufacturer sometimes to get the price of the goods in advance, which he may use as capital for producing the goods. In case of Hire Purchase under Shirkatul Melk, the asset / property involved is jointly purchased by the Hire (Bank) and the Hirer (Client) with specified equity participation under a Shirkatul Melk Contract in which the amount of equity and share in ownership of the asset of each partner (Hire Bank & Hirer Client) are clearly mentioned. Under this agreement, the Hire and the Hirer becomes co-owner of the asset under this transaction in proportion to their respective equity participation. Most of investment of IBBL is formed under Mubaraba Mode. It is a form of partnership where one party provides the funds while the other provides the expertise and management. Any profits generated are shared between two parties on a pre-agreed basis, while capital loss is exclusively borne by the partner providing the capital. But IBBL is an expert organization in business sector so they face less failure and if there is any loss they can overcome it by other sector. The partners (entrepreneurs, bankers) share both capital and management of a project so that profits will be distributed among them as per ratio, where loss is shared according to ratio of their equity participation. Investment division is the most important for all banks. In investment division maintain all types of investment procedures of Kawran Bazar Branc hand support the branch to take different types of initiatives. So I am prepared to report mode of investment as result majority time I work in the Investment department. branches. Thus, efforts have been made in this report to reveal the investment modes of IBBL in order to explore the investment modes of IBBL, Mirpur-10 Branch. When money is deposited in the IBBL, the bank, in turn, makes investments in different forms approved by the Islamic Shariah with the intention to earn a profit. Not only a bank, but also an individual or organization can use Islamic modes of investment to earn profits for wealth maximization. Some popular modes of IBBL’s Investment are discussed below. “Bai-Murabaha” means sale on agreed upon profit. Bai-Murabaha may be defined as a contract between a Buyer and a Seller under which the Seller sells certain specific goods permissible under Islamic Shariah and the Law of the land to the buyer at a cost plus an agreed profit payable today or on some date in the future in lump-sum or by installments. The profit may be either a fixed sum or based on a percentage of the price of the goods. “Bai-Muajjal” means sale for which payment is made at future fixed date or within a fixed period. In short, it is sale on Credit. The Bai-Muajjal may be defined as a contract between a buyer and a seller under which the seller sells certain specific goods, permissible under Shariah and law of the country, to the buyer at an agreed fixed price payable at a certain fixed future date in lump sum or in fixed installments. “Bai- Salam” means advance sale and purchase. Bai-Salam may be defined as a contract between a buyer and a seller under which the seller sells in advance the certain commodity/products permissible under Islamic Shariah and the law of the land to the buyer at an agreed price payable on the execution of the said contract and the commodity/products are delivered to the buyer as per specification, size, quality, quantity at a future time in a particular place. · Bai-Salam is a mode of investment allowed by Islamic Shariah in which commodity(ies)/product(s) can be sod without having the said commodity(ies)/ product(s) either in existence or physical /constructive possession of the seller. If the commodity (ies)/product(s) are ready for sale, Bai- Salam is not allowed in Shariah. Then the sale may be done either in Bai-Murabaha or Bai-Muajjall mode of investment. · Generally, industrial and agricultural products are purchased/sold in advance under Bai-Salam mode of investment to infuse finance so that product is not hankered due to shortage fund/cash. · It is permissible to obtain collateral security from the seller client to secure the investment from any hazards via non-supply/partial supply of commodity (ies)/product(s), supply of low quality commodity (ies) /product(s). · Bai-Salam on a particular commodity (ies)/product(s) or on a product of a particular field or firm cannot be affected (for Agricultural Product(s) only). · The seller (manufacturer) client may be made agent of the Bank to sell the goods delivered to the Bank by her provided a separate agency agreement is executed between the bank and the client (agent). Istishna’a is a contract between a manufacturer/seller and a buyer under which the manufacturer/seller sells specific product(s) after having manufactured, permissible under Islamic Shariah and Law of the Country after haying manufactured at an agreed price payable in advance or by go downs within a fixed period or on/within a fixed future date on the basis of the order placed by the buyer. · Istishna’a is an exceptional mode of investment allowed by Islamic Shariah in which product(s) can be sold without having the same in existence. In the product(s) are ready for sale. Istishna’a is not allowed is Shariaf. Then the sale may be done either in Bai-Murabaha or Bai-Maajjal mode of investment. in this mode, deliveries of goods are deferred and payment of price may also be deferred. · It facilitates the manufacturer sometimes to get the price of the goods in advance, which he may use as capital for producing the goods. · It gives the buyer opportunity to pay the price in some future dales or by go downs. · It is a binding contract and no party or is allowed to cancel the Istishna’a contract after the piece is paid and received in full or in part or the manufacturer starts the work. · Istishna’a is specially practiced in manufacturing and industrial sectors; however, it can be practiced in agricultural and constructions sectors also. used in the production of large machinery and equipment manufactured in factories and workshops. Finally, the Istishna’a contract is also applied in the construction industry such as apartment buildings, hospitals, schools, and universities to whatever that makes the network for modern life. One final note, the Istishna’a contract is best used in those transactions in which the product being purchased can easily be measured in terms of the specified criteria of the contract. The word Mudaraba has been derived from Arabic word “Darb/Darbun” which means “Travel”. Thus the word Mudaraba means travel for undertaking business. It is a form of partnership where one party provides the funds while the other provides the expertise and management. The first party is called the “Sahib-Al-Maal” and the latter is referred to as the “Mudarib”. Any profits accrued are shared between the two parties on a pre-agreed basis, while capital loss is exclusively borne by the partner providing the capital. Administration and management is maintained by the client. Profit is divided as per management. The word “Musharaka” has been derived from Arabic words “Sharikat” or “Shirkat”. In Arabic Sharikat and Shirkat means partnership or sharing. Thus the word “Musharaka” means a partnership between two or more persons or institutions. Musharaka means a partnership established between two or more persons or institutions for purpose of a commercial venture participated both in the capital and management where the profit may be shared between the partners as per agreed upon ratio and the loss, if any is to be borne by the partners at per capital/equity ratio. In this case of Investment, “Musharaka” meaning a partnership between the Bank and the Client for a particular business in which both the Bank and the Client provide capital at an agreed upon ratio and manage the business jointly. Share the profit as per agreed upon ratio and bear the loss, if any in proportion to their respective equity. All partners can participate in the management of the business and can work for it. The liability of the partner is normally unlimited. Therefore, all the liabilities shall be borne proportionately by all the partners. i) Shirkatul Melk: ‘Shrkat’ means partnership. Shirkatul Melk means share in ownership. When two or more persons supply equity, purchase an asset and own the same jointly and share the benefit as per agreement and loss in proportion to their respective equity, the contact is called Shirkatul Melk. In the case of Hire Purchase under Shirkatul Melk, IBBL purchase assets to be leased out, jointly with client under equity participation, own the same and share benefit jointly till the full ownership is transferred to the client. ii) Ijara: The term Ijara has been derived from the Arabic words “Air” and “Ujrat” which means consideration, return, wages or rent. This is really the exchange value or consideration, return, wages, rent of service f an asset. Ijara has been defined as a contract between two parties, the Hiree and Hirer where the Hirer enjoys or reaps a specific service or benefit against a specified consideration or rent from the asset owned by the Hiree. It is a hire agreement under which the Hiree to a Hirer against fixed rent or rentals hires out a certain asset for a specified period. iii) Sale: This is a sale contract between a buyer and a seller under which the ownership of certain goods or asset is transferred by seller to the buyer against agreed upon price paid / to be paid by the buyer. Thus, in Hire purchase under Shirkatul Melk mode both the Bank and the Client supply equity in equal or unequal proportion for purchase of an asset like land, building, and machinery, transport etc. Purchase the asset with that quit money, own the same jointly, share the benefit as per agreement and bear the loss in proportion their respective equity. The share, part of portion of the asset owned by the bank is hired out to the client partner for a fixed rent per unit of time for a fixed period. Lastly the bank sells and transfers the ownership of its share/part/portion to the client against payment of price fixed for the either gradually part by part or in lump sum within the hire period or after expire of the hire agreement. 1) Purchase of asset under joint ownership of the lessor and the lessee. 3) Sale and transfer of ownership by the lessor to the other partner – lessee. · In case of Hire Purchase Under Shirkatul Melk transaction the asset/property involved is jointly purchased by the lessor (bank) and the lessee (client) with specified equity participation Under a Shirkatul Melk contract in which the amount of equity and share in ownership of the asset of each partner (lessor bank and lessee client) are clearly mentioned. Under this agreement the lessor and the lessee become co-owners of the asset under transaction in proportion to their respective equity. · In Hire Purchase Under Shirkatul Melk Agreement the exact ownership of both the lessor (bank) and lessee (client) must be recognized. However, if the partners wish and agree the asset purchased may be registered in the name of any one of them or in the name of any third party clearly mentioning the same in the Hire Purchase Shirkatul Melk Agreement. · The share/part of the purchased asset owned by the lessor (bank) is put at the disposal possession of the lessee (clients) keeping the ownership with him for a fixed period under a hire agreement in which the amount of rent per unit of time and the benefit for which rent to be paid along with all other agreed upon stipulations are clearly stated. Under this agreement the lessee (client) becomes the owner of the benefit of the asset not of the asset itself, in accordance with the specific provisions of the contract that entitles the lessor (bank) the rentals. · As the ownership of leased portion of asset lies with the lessor (bank) and rent is paid by the lessee against the specific benefit, the rent is not considered as price or part of price of the asset. · In the Hire Purchase Under Shirkatul Melk Agreement the Hire (Bank) does not sell or the Hirer (Client) does not purchase the asset but the Hire (Bank) promise to sell asset to the Hirer (Client) part by part only, if the Hirer (Client) pays the cost price / equity / agreed price as fixed for the asset as per stipulations within agreed upon period on which the Hirer also gives undertakings. · The promise to transfer legal by the Hire undertakings given by the Hirer to purchase ownership of the hired asset upon payment part by part as per stipulations are effected only when it is actually done by a separate sale contract. · As soon as any part of Hire’s (Bank’s) ownership of the asset is transferred to the Hirer (Client) that becomes the property of the Hirer and hire contract for that share / part and entitlement for rent thereof lapses. up to the day on which the full title of Hire (Bank) is transferred to the Hirer (Client). · The hire contract becomes effective from the day on which the Hire transfers the possession of the hired asset in good order and usable condition to the Hirer, so that the Hirer may make the agreement. · Effectiveness of the sale contract depends on the actual sale and transfer of ownership of the asset by the Hire to the Hirer. Summary of the personal movable & immovable assets; and others. At this stage, the bank evaluates the client and his/her business. It is the most important stage. Because, on the basis of this stage, bank usually goes for sanctioning the proposed investment limit/proposal. If anything goes wrong here, the bank suddenly stops to make payment of investment. Mode & amount of investment. XII. Account Statement Form of the bank. XIV. Outstanding liability position of the bank. XV. CIB (Credit Information Bureau) Report. In fact, the bank since its inception has been working for the uplifted and emancipation of the unprivileged, downtrodden, and neglected section of the people and has taken up various schemes for their well being. The objectives of these schemes are to raise the standard of living of low-income group, development of human resources, and creation of awareness for self employment. In a developing country like Bangladesh people of middle and lower class especially service holders with limited income find it difficult to purchase articles like refrigerator, television, cot, almirah, wardrobe, sofa-set, pressure cooker, sewing machine etc. which are part of modern and decent living. They cannot enhance the standard and quality of life to the desired level due to the constrain of their limited income. Islami Bank Bangladesh Limited has, therefore, introduced Household Durables Investment Scheme that has already created great enthusiasm among the people and received tremendous response from them. Period of Investment:Maximum two years. local established & reputed Public Limited Companies. An undertaking from the client as well as from the dependants (nominees) to the effect that the retirement benefits including Provident Fund will be appropriated towards adjustment of the house building investment liability of the client prior to any other appropriation, if the liability relating thereto or any part of it remains unadjusted at the time of getting the retirement benefits. Private car, microbus, jeep, pick-up van. Cargo vessel of maximum 500 ton capacity. Ocean going vessel of maximum 800 ton capacity. Successful individual/businessman/firm engaged in transport business and potential individual/ businessman/firm who intends to take-up transport as business. Permanent Officials of Government, Semi-government, Autonomous Bodies, Corporations, Banks and Financial Institutions. Established Businessman and Business Establishments. Professionals: University Teachers, Doctors and Engineers. Experienced Person/Firm engaged or interested in transport business (Rent-a-car). Preference will be given to those person and firms who are already engaged in transport business. Mode of Investment:Hire-Purchase Shirkatul Meelk(HPSM). The Bank as per existing rules shall charge rent on investment. Clients, who will repay the entire investments within the stipulated period or earlier by way of regular payment of instalments, shall be given rebate over the rent. The car shall have to be registered in the name of the Bank only. After payment of the entire investment of the Bank including the charges etc., the car shall be transferred in the name of the clientby the client. To provide investment facilities for establishment of chambers, clinics, pharmacies and procurement of medical equipment by the unemployed medical graduates and thus to provide self- employment. To assist newly passed unemployed medical graduates to establish clinics by way of formation of groups by 5 doctors. To assist specialists and consultant physicians to procure specialised medical equipment for extending improved treatment to the people. a. Hire Purchase Shirkatul Melk : For purchase/procurement of medical equipment and appliances, motor cycle and other items. b. Bai-Muajjal : For establishment of Chambers, Clinics and purchase of medicines etc. Investment clients must be permanent residents of the command area of the branch through which they intend to avail investment facilities and they must have valid trade license and shops or selling centers. Branches depending upon their requirements. Head Quarters depending upon their requirements. raw materials for manufacturing purposes. For HPSM investment : Maximum 20% on cost price of the Machineries/vehicles. In order to bring revolutionary changes in the agricultural sector by adopting modern agricultural technology replacing the age-old traditional way of cultivation and increasing the use of fertilizer. This can only be done by collective efforts of both public and private sectors. Islami Bank Bangladesh Limited is a welfare oriented Bank. It can play positive and important role in the economic development, progress and uplift of the country by investing in the agricultural sector. The Bank has, therefore, introduced “Agriculture Implements Investment Scheme” to provide power tillers, power pumps, shallow tubewells, thrasher machine etc. on easy terms to the unemployed youths for self-employment and to the farmers to help augment production in agricultural sector. Applicant must be a permanent resident of the concerned area and be willing to stay and work there. Mode of Investment:Hire Purchase Shirkatul Melk. 2. For supervision at the field level the Bank, may engage educated unemployed youths of the concerned area as per rules of the Bank. Supervision fee at the rate 2% over investment may be charged from the investment client for this purpose. Fouad Abdul Hameed Al-Khateeb, Saudi Arabi. The central bank also requires that every IBBL shall maintain a reserve fund. Before any dividend is declared, IBBL transfers to the reserve fund out of the net profits of each year, after due provision has been made for Zakat and taxation, a certain percentage of the net profits in order to build up adequate reserves. If the central bank is satisfied that the aggregate reserve fund of an IBBL is adequate for its business, it may by order in writing exempt the bank from this requirement for a period of one year. In Bangladesh, the IBBL besides maintaining the statutory reserve, has built up an Investment Loss Offsetting Reserve (ILOR) by appropriating 10 (ten) percent of the bank’s annual investment profits. This figure shows the upward trends for IBBL deposits and investment, from 2004 to 2008. Each year deposits collection is higher than the total investment except in 2007 investment exceeds the deposits collection, in which they required to be concerned. Overall trend is very satisfactory. Adequate finance: Islami Bank Bangladesh Ltd. has adequate finance. That is why; they need not to borrow money from Bangladesh Bang or any other.More funds fore investment: For adequate financial ability, they can provide more investment facility to their rather than other Banks. Honest and reliable employees: All of the employees of Islami Bank are honest and reliable. They are always devoted themselves to the clients for better customer. Religious feelings of the people: Most of the people of Bangladesh are Muslim and they are trusted in superior performance of IBBL as a Sariah based-Islamic Banking. Lake of adequate employees: Islami Bank Bangladesh Ltd. has very limited human resources compared to its financial activities.Lake of up-to-date equipment: IBBL has lack of modern technologies and equipments like adequate online facilities as well as cash card and credit card system. Lake of advertising: IBBl has lack of aggressive advertising like other banks. They don’t telecast any attractive advertise in the media. Innovative and modern customer service: This bank can introduce more Innovative and modern customer services to its customers to survive better in the competition market.Retaining vast customer: IBBL has a vast opportunity to hold most of the customers by extending its banking operation all over the country as most of the people of Bangladesh are religious minded. Poverty alleviation: IBBL has a great opportunity to save the county’s poor people from being taking loan from different NGOs or few banks with higher interest rate. Special Image: IBBL has created special image to the people as a more reliable bank. People believe that if they keep their money in Islami bank it will be more secured than other banks. Rules and regulation: Rules and regulation of Bangladesh Bank defers with islami banking system. So they have to face various problems to operate their activities according to the Islamic Shariah.Lower salary structure: Now many of the Banks are hiring young talent and expertise employees with higher remuneration where IBBL could not hire skilled manpower because of lower salary structure compared to other banks. Islam is a complete way of life and Allah’s guidance extents into all areas of our lives. Islam has given detail regulations for our economic life. Therefore, Islami Bank Bangladesh Limited (IBBL) is trying to establish the maximum welfare of the society by maintaining the principles of Islamic Shariah which is based on “Quran” and “Sunnah”. Since 1983, IBBL is the pioneer in welfare banking in this subcontinent and it is trying to do all its activities for the betterment of its depositors. For the greater interest of the depositors the investment policy of IBBL is to invest on the basis of profit and loss sharing in accordance with the tents and principles of Islamic Shariah. Profit earning is not the only motive and objective of the bank’s investment policy rather emphasis is given in attaining social good and in creation employment opportunities. IBBL is not secular in its orientation. IBBL does not finance any project which conflicts with the moral value system of Islam. IBBL does not strictly consider the credit worthiness of the entrepreneur. IBBL receives a return only if the project succeeds and produces a profit. IBBL considers the soundness of the project and business acumen and managerial competency of the entrepreneur. Therefore, the rate of return of investment of IBBL is greater comparing to that of conventional banks. It is a modern banking era. Each and every commercial bank is properly utilizing technological innovations. So, IBBL needs to utilize these modern technologies to keep pace with the modern time. IBBL’s investment processing should become easier than other conventional banks. IBBL should deserve immediate attention in the promotion of the image of Shariah based banks as PLS (profit-loss-sharing) banks. IBBL can diffuse its scope of investment through focusing shariah concept regarding investment among the bank officers; employer and the clients by strong training, workshops. IBBL should initiate different investment modes according to changing /diverse needs of clients by conducting huge research and study.